Yeah even I never thought that I would find myself writing about a Microsoft Product but the whole thing looked so exciting that I just couldn’t resist. Features: Metro style apps. I believe the idea is to give people a heads-up in creating applications for the devices on which Windows 8 is going to run (//TODO: restructuring required!). 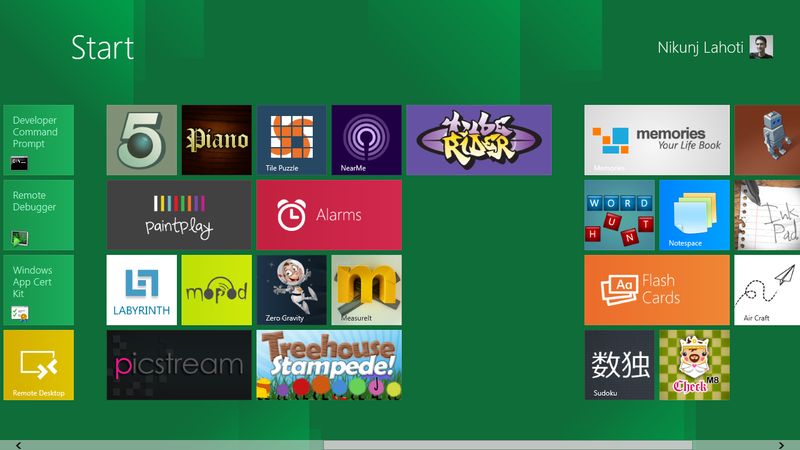 Windows8 Preview for Developers is out (http://dev.windows.com). And their BUILD site says that it was downloaded 500K times within the first 12 hours of its release. Good for them! Earlier in the evening I was trending #Windows8 (http://twitter.com/nikunjlahoti) about how my attempts at the installation were falling short. I am so glad that I finally did it (think: Die in peace. think: slumber)!! Developer tools and a lot of goodies came bundled! 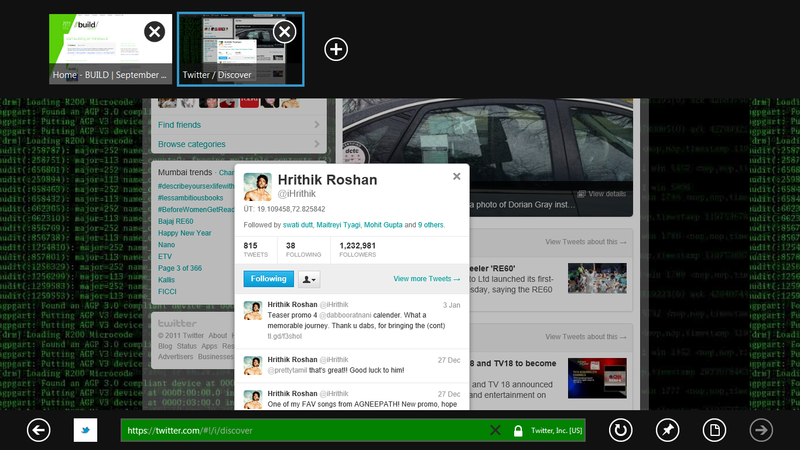 This is the Desktop mode. 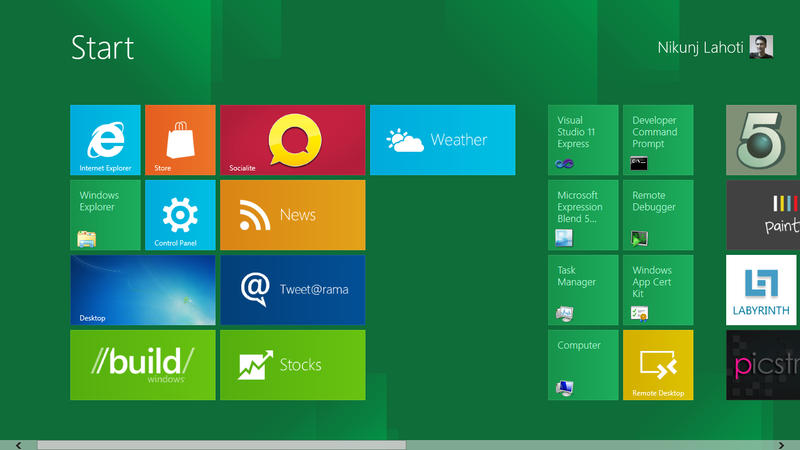 Pretty much looks like Windows7 only! Pretty detailed steps with screenshots given. if you have an existing installation then it may ask you to upgrade Windows 7. I don’t see much of a point going ahead with that. Lets just test it and wait for the full version to be out. So, select CUSTOM instead, for Dual-Boot. If you choose Dual-Boot now later you may be able to uninstall it as well otherwise things may get a little tricky. Windows gives you a recommended installation plan but you need to select a custom one for dual boot to happen. 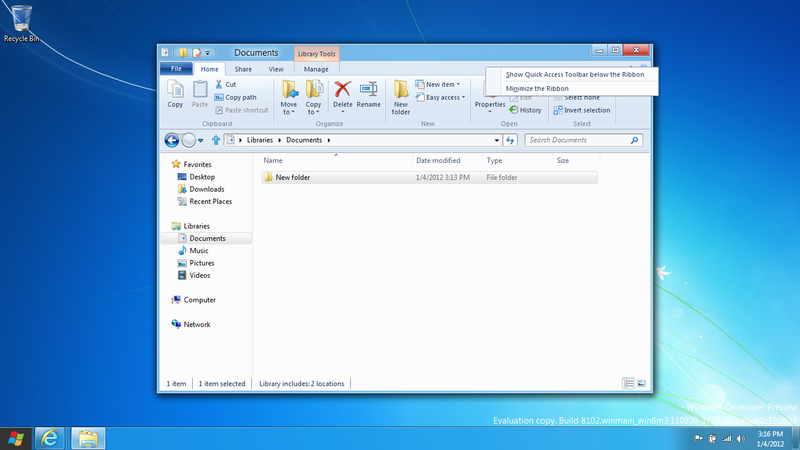 Prerequisite: Resize the partition (C Drive: .. Using Windows Vista/Windows 7 Manage Computer Tools or GParted etc) and create a new partition having at least 20Gb of Free Space. If not already then convert it to NTFS filesystem. Burn the downloaded image to the USB or DVD (for 4.8Gb ISO, regular DVD would not suffice) using a tool. Plug the USB/insert the DVD and hit reboot. Running Setup.exe in the ROOT folder wouldn’t give you enough options. And it may even scare you saying something close to FORMATTING the entire system (Saving Nothing). Go to “sources” folder instead and run the Setup from there. It works like a charm. Select the partition where you wish to install the Windows8 Developer Preview on. Do try it at least inside VirtualBox.